The automobile in ideal condition and with a full package guarantees a comfortable trip. The car will be delivered to the airport or hotel, our representative will meet you at the requested time with a sign. Rental of a Rolls-Royce Cullinan in Europe is a unique opportunity to enjoy comfort travelling in Europe by the premium class car. This offroadster was presented in 2018, and it became the first automobile of this class at Rolls Royce, which already makes it unique. To rent a Rolls Royce Cullinan in Europe, please contact our manager by phone: +39 339 14 61 303 or e-mail: info@rentluxecar.com. The rental cost accounts for travel distance and rental duration. 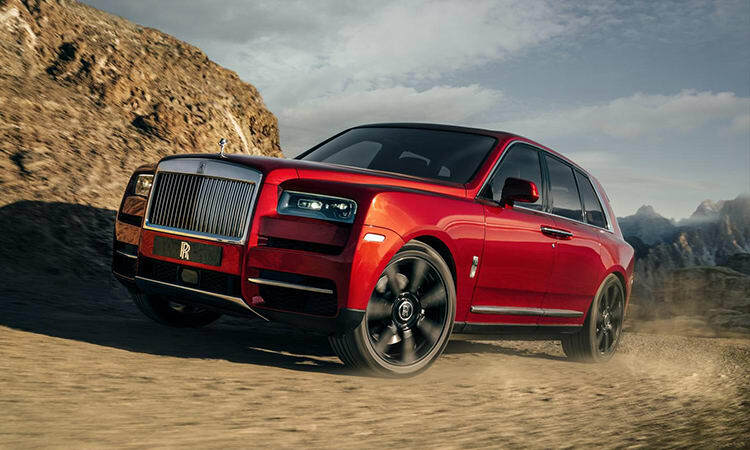 For insurance reasons, the minimum age for rent Rolls-Royce Cullinan is at least 21 years. A valid driver’s licence is always required to rent a Rolls-Royce Cullinan in Europe, as well as a minimum amount of 10000€ in your credit card, which is blocked on the rental period and released only after the return of the car. The rental rate includes mileage, amounting to 150 km per day and the cost of each additional kilometre is 4 €.